Things have been quite slow in recent weeks as I’ve been looking after my husband, Andrew, who’s recovering from surgery following his diagnosis of prostate cancer (and doing really well), plus it’s been the Easter holidays for our two teenagers, always a mixture of chaotic delightfulness, late night taxi duty, complicated sleeping arrangements and noise. In fact, typing this on Monday morning now that they’ve both left for school, what I’m most conscious of is the wall of silence I’m surrounded by, even with my writing room door wide open. Even when there are no external distractions, I’m a slow writer. Wanting to write and being able to write are two different activities. Things I would like to write include: a full poetry collection, a novel, a collection of short stories, a radio play (written a few, one was broadcast, would like to write more) and more poetry reviews. I am working on a various number of these projects, some more successfully than others. I sit down to write every day, juggling fountain pen with keyboard, and notebooks with reams of sheet paper. I am a slow, slow accumulator of words. It isn’t that shorter pieces take less time – editing down to the required word count can itself be time-consuming – but being allocated a specific number of words gives me something to aim for, and this helps. OPOI reviews at Sphinx Reviews (Sphinx Reviews is part of HappenStance Press) require 100 – 350 words. OPOI stands for One Point of Interest. They might better be described as responses (to poetry pamphlets) rather than reviews. 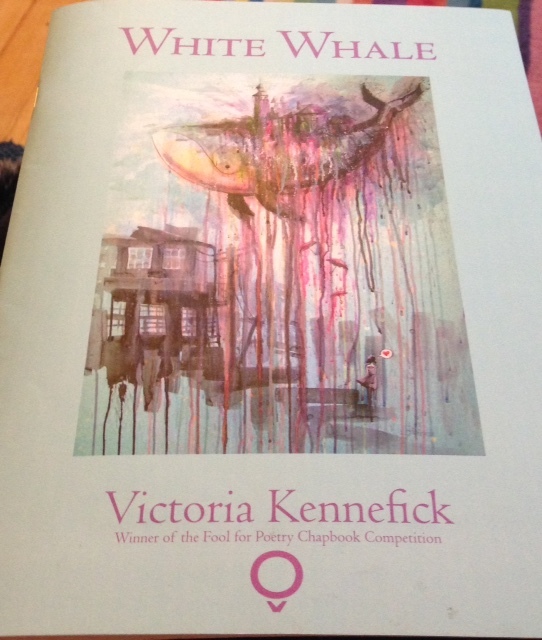 In my response to Victoria Kennefick’s pamphlet White Whale I’ve focussed on the title poem rather than the whole collection. I did a similar thing in my response to Robin Houghton’s The Great Vowel Shift when I wrote about the poem, ‘The Last’, which appears first in the pamphlet. I am conscious of my clumsy writing style – what I want to say, the ideas in my head, don’t always co-operate with my pen or keyboard doing the transcribing – but I *hope* to get better at writing by practising. Isn’t that true of most activities? I also hope that I will become a faster writer with more practice. And I have translated four lines of poetry! I wrote before about my enthusiasm for reading poems in translation and about the opportunities for amateurs to try our hand at translating a poem at the Modern Poetry in Translation website. 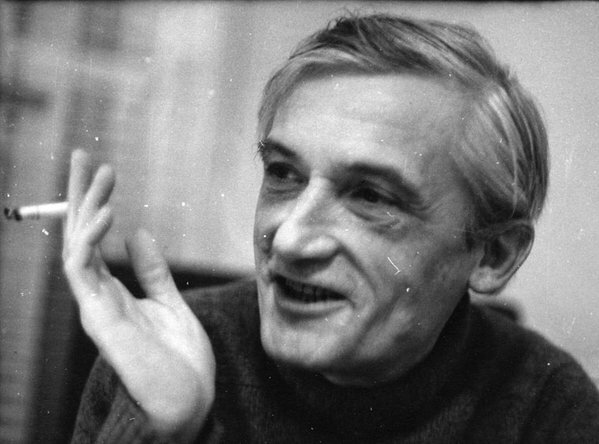 There is a new poem up on the site, ‘Négysoros’ (Quatrain) by the Hungarian poet János Pilinszky (1921-1981) and there are already sixteen different ‘translations’ to read (as well as versions in English, there was one in Punjabi and one in Spanish when I last checked), including mine. I’ll admit to being ignorant of this poet until now but there are helpful translation notes included on the translation page. It was wonderful to be able to find work from him in Centres of Cataclysm, the MPT anthology I’m currently reading. Nails asleep under frozen sand. You left the light on in the corridor. Today my blood is shed. This reference to the Passion, and to the shedding of blood, led me to think more about religious connotations. I thought of the story of Christ alone in the Garden of Gethsemane the night before his crucifixion and of him riding into Jerusalem in triumph, applauded by the crowd, the week before he was killed. These events have just been commemorated in the Catholic church I belong to, during Holy Week and the Easter Triduum. I’ve tried to incorporate these thoughts into my translation. A ‘sacristy’ is a room in a church where a priest prepares for a service, and where vestments and articles of worship are kept – so, not a ‘corridor’ but a room outside the church. Long nails lie unhammered in the frost. a light left on in the sacristy. Today they want his blood. (In retrospect, I probably should have changed “in the frost” to “on the frosted ground” to more closely translate the “frozen sand” of the original. I also think the line scans better that way). Anyway, I urge you to submit your translation over on the MPT site if you’re so inclined. Although, I warn you, translating can become addictive! 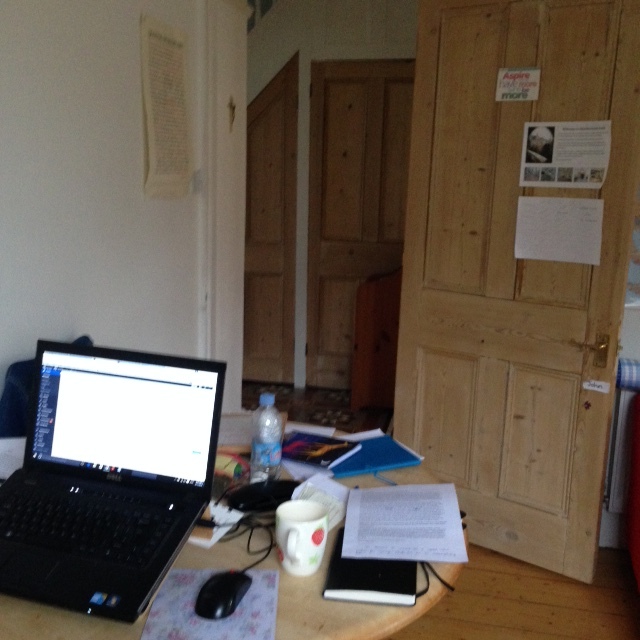 I’m really looking forward to the Translation Study Day in Oxford that I’ve signed up to take part in (places still available) and, referring back to my desire to get better at writing reviews, I’ve also signed up for a Writing Poetry Reviews workshop in Swindon with Claire Trévien. And send in an OPOI review to Sphinx/HappenStance! Tara Bergin, the writer did her doctoral dissertation on the \|Hughes translation Of Janos P.
It does make really interesting reading. The pre-publication copy was available online, but I’ve currently lost the link. The ‘wall of silence’ – suddenly noticeable. Thank your neighbours for that, too! So rare. My goodness what an amazing lady you are! So busy! You put the rest of us to shame. I admit I never find poetry that fascinating but was interested to up hear what you have been doing. My very best wishes to you and I hope your husband makes a speedy recovery. I have to admit to being totally bewildered by the idea of translating poetry if you don’t speak the language. I have heard of this before of course but have never understood how it works. Would you consider doing a post on this for those of us left in the dark? I had a look at the Modern Poetry in Translation website; well, at a poem or two there but I’m none the wiser.